Which framework is most commonly used? The majority of reports (59%) comply with GRI (Global Reporting Initiative). 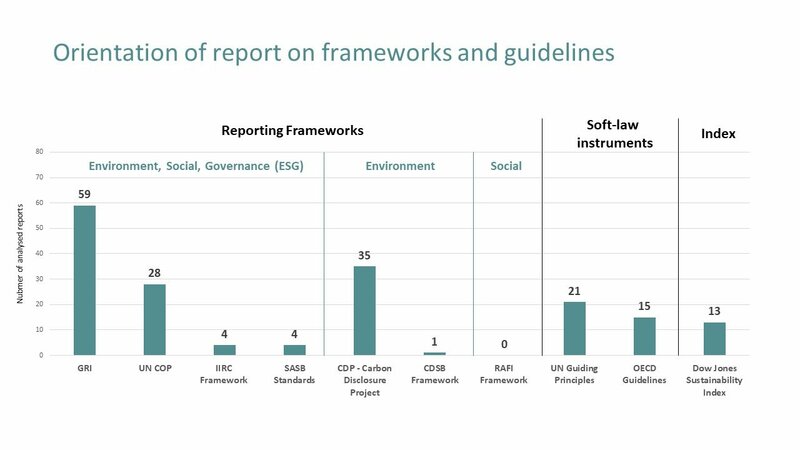 Other frameworks and guidelines are often used in parallel, such as CDP (Carbon Disclosure Project), which is used by 35 companies. What is the status of GRI reporting? 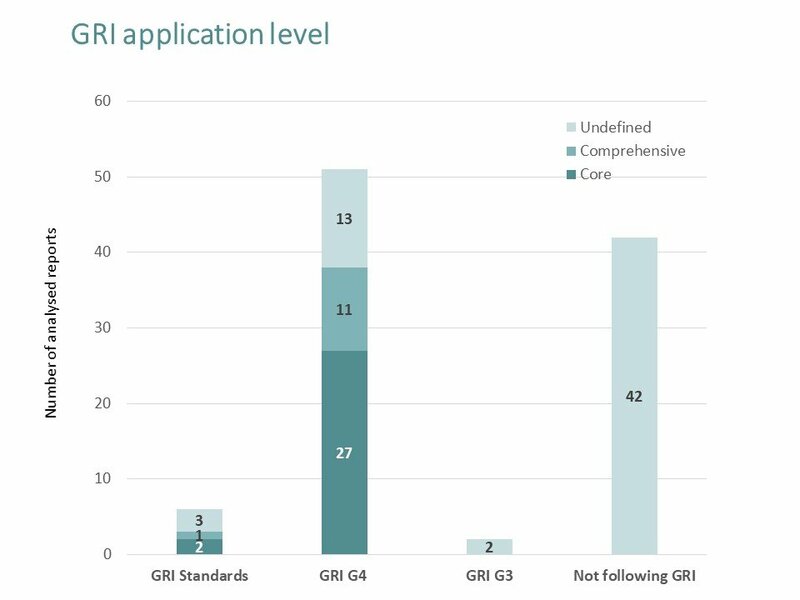 Among the 59% of companies orienting on GRI, 6% already apply the new GRI Standards (published in Oct 2016), 51% use GRI G4 and 2% remain with GRI G3. What type of report is used to disclose sustainability information? 10% call their report an “integrated report”. 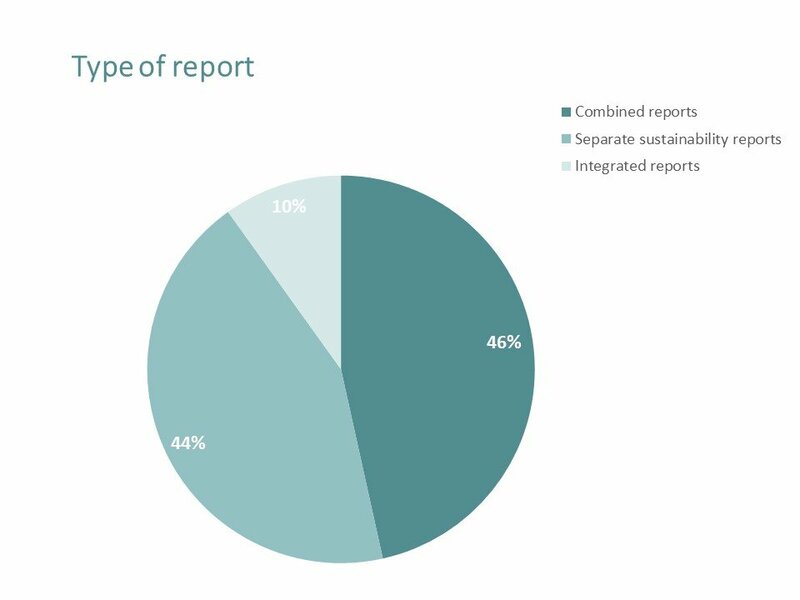 Others create either a combined report (46%) – mainly in annual reports, or a separate sustainability report (44%). 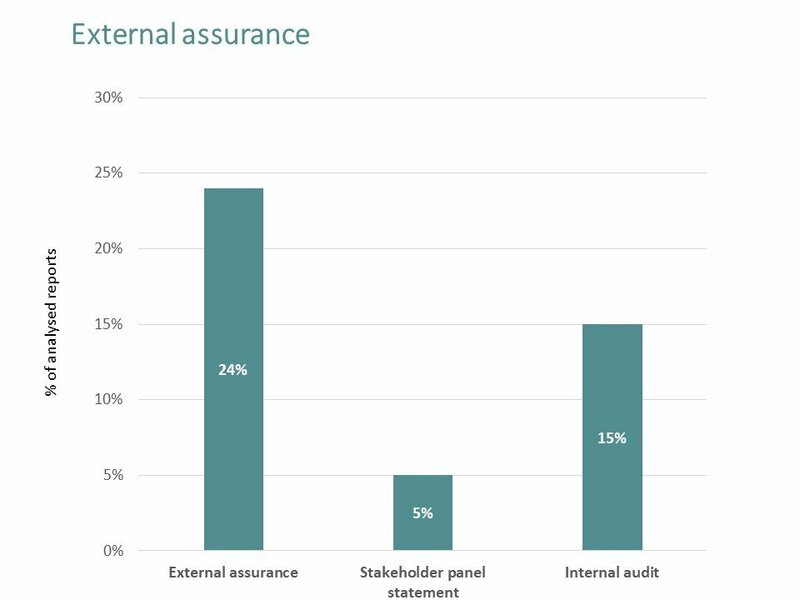 35% of reports reviewed have some form of assurance on their sustainability disclosures, through external assurance (24%), stakeholder panels (5%) and internal audits (15%), which are often used in parallel.